Prior to the formulation of 12th plan period, the Government engaged the industry representatives extensively to set up a body to exclusively deal with the interest of the domestic industry and formulate a viable growth plan. The result of the relentless effort is the birth of Council for Footwear Leather and Accessories (CFLA). It is the apex organization of Indian footwear; leather and accessories industry and it will primarily focus on the development and expansion of domestic setup. In an elaborate interaction, Adesh Gupta, Chairman of the council, spells out what council will be doing. Gupta is also the Chief Executive Officer of Liberty Shoes. The Leather Industry holds a prominent place in the Indian economy and is known for its consistency in high growth rate, and it is among the top ten sectors of the Indian economy. Leather sector has been included as a ‘Focus Sector’ under the Make in India programme announced by Prime Minister Narendra Modi in September 2014. Under this programme, the Indian Leather Sector has been given an ambitious target of achieving a total turnover of $ 27 billion by 2020 (which includes export turnover of $ 15 billion and domestic turnover of $ 12 billion) from the present turnover of $12.50 billion. As an apex body for footwear leather and accessories, Council For Footwear Leather And Accessories has been incorporated as a public company on 17 February 2016. 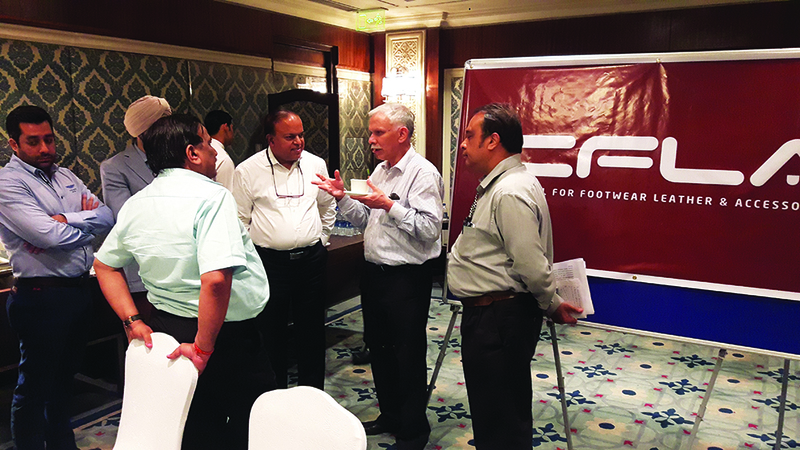 It held its first annual general meeting on the 29th March 30, 2016, presided by directors of Council For Footwear Leather And Accessories Adesh Kumar Gupta, Raj Kumar Gupta and Inder Dev Singh Musafir. ( Lto R) Members of Council for Footwear Leather & Accessories with Shri Atul Chaturvedi Joint Secretary – DIPP, Ministry of Commerce and Industry. Adesh specialized in Polyurethane (PU) Applications in Footwear and he pioneered the application of PU technology for the first time in India in 1983 and helped make Liberty a leader in domestic market. Adesh Gupta has acted as Chairman, Confederation of Indian Industry (Northern Region), headed the Footwear Design and Development Institute (2005–08) as Chairman under the aegis of Ministry of Commerce, Government of India. He heads a number of professional as well as Govt. bodies related to footwear industry in various capacities. 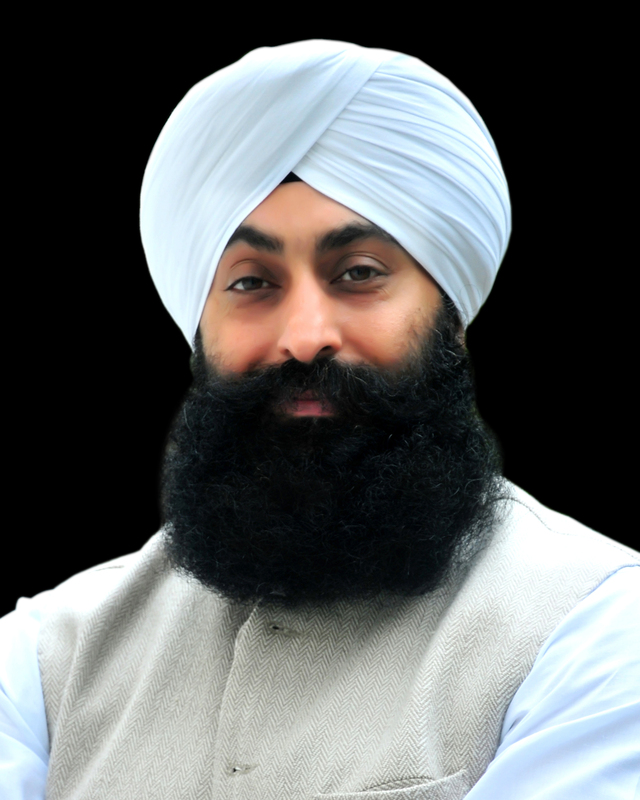 Inder Dev Singh Musafir, grand son of freedom fighter and first Chief Minister of New Punjab (1966) Giani Gurmukh Singh Musafir, has carved a niche for himself in the world of domestic footwear business with international partners. 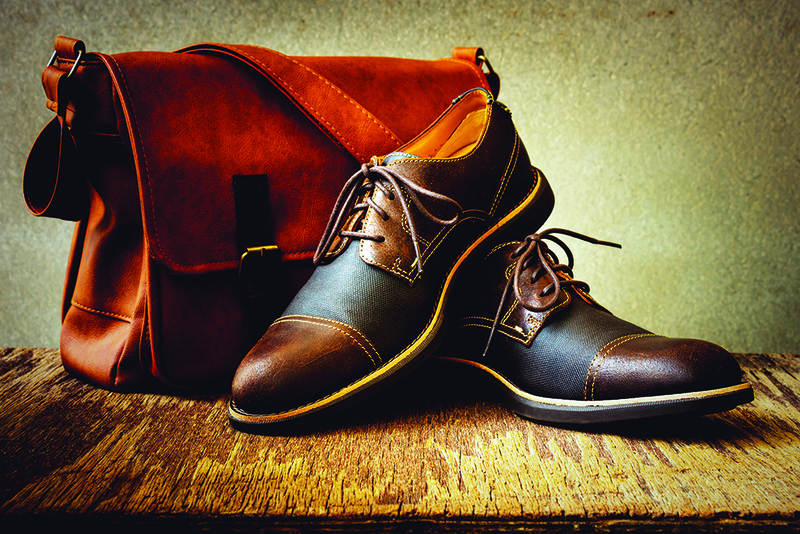 A diploma holder in footwear technology from the United Kingdom, Inder Musafir runs a very successful shoe business, representing several prestigious international and national brands such as Lee Cooper (U.K), Provouge and ID. He has also served for over a decade as member of the Governing Council of FDDI (Footwear Design & Development Institute) Ministry of Commerce, Govt. of India. Raj Kumar Gupta, President Footwear Park at Bahadurgarh and managing director of Action Shoes, a dynamic personality, has taken the company to new heights since its inception. He has been instrumental in shaping this success story into what it is today. He has strongly and pragmatically driven the company towards growth and success and continues to guide this widely spread organization on its way to a promising future. The Leather Industry holds a prominent place in the Indian economy and known for its consistency in high growth rate and it is among the top ten sector of the Indian economy. With an annual turnover of over $ 12 billion (Rs.80,000 Crores) the domestic trade account for leather and leather products of about $ 6 billion (Rs.4,000 Crores) which increased manifold over the past decades and recording a cumulative annual growth rate of about 11%.The Leather industry is bestowed with an affluence of raw materials as India is endowed with 21% of world cattle and 11% of world goat and sheep population. Added to this are the strengths of skilled manpower, innovative technology, increasing industry compliance to national and international environmental standards, and the dedicated support of the allied industries. The leather industry is an employment intensive sector, providing job to about 2.5 million people, mostly from the weaker sections of the society. Women employment is predominant in leather products sector with about 30% share. The major segments of the industry are tanning, footwear, leather goods (including gloves and saddlery and harness sectors) and leather garments. Needless to mention that India is the second largest producer of footwear and leather garments in the world. At the concluding half, Atul Chaturvedi, IAS Joint Secretary DIPP, joined the assembly and gave a serene consideration to various points expressed by the members. The members expressed their views with an intent to have a uniform voice to share with the policy makers, the crucial issues relating to multiplicity of tax matters such as GST, VAT, CST, Excise Duty and retail issues related to supply chain. Creating a unifying body of the fragmented associations operating in the sector. How to grow at the manufacturing front. Approach Uttar Pradesh, Tamil Nadu and some select states with the appeal for reducing VAT rates in the first phase. This was to be rolled out progressively to cover the other states so that this sector is covered under merit rate of GST. Comprehensive market study on the footwear industry in India. Mega event for investment Promotion and Development at New Delhi. The Joint Secretary resonated an extremely positive and inspiring concluding remarks. Though, he did express that the sector needs a vigorous thrust from the manufacturing sector, as the economy or an industry cannot thrive only on domestic or export players. The leather industry is an employment intensive sector, providing job to about 2.5 million people, mostly from the weaker sections of the society. Women employment is predominant in leather products sector with about 30% share. The major segments of the industry are tanning, footwear, leather goods (including gloves and saddlery & harness sectors) and leather garments. Evidently, international trade brings us the valuable foreign exchange earning but at the same time it is full of risks as well. The recent economic recession in the traditional markets of Europe and USA which have affected not only the export growth but also the creation of additional employment opportunities in the last couple of years is an eye-opener for the Indian leather industry. Thus, total dependency on exports is not enough to ensure sustainable growth of the Indian leather industry in the long run. The industry has to look inward at the domestic market and tap the growing potential, also and concentrate on areas, which will benefit both the export front and also the penetration of the domestic market. As significant efforts need to be taken to create the necessary atmosphere and facilities for achieving the objective of sustainable development at the domestic front, there is a need for focused initiatives to counter the challenges faced by the domestic industry. The Government of India has announced setting-up of Mega Leather Clusters under the DIPP in states under ILDP during 12th Plan period. These Mega Leather Clusters which will come up in an area of 80-100 acres and will have world-class infrastructure and support facilities will play a significant role in production enhancement. Each ‘mega leather cluster’ will involve a maximum investment in the range of Rs.160 crore per cluster and will also require integrated approach with regard to areas like land acquisition, creation of common facilities including customs, mobilization of trained work force etc., Also, establishment of each cluster will involve extensive consultations and co-ordination with Central/State Governments and their departments like Customs/ Revenue, Central Excise/Service Tax, Pollution Control Boards, Industry, Labor etc., and also with industry organizations. However, in the absence of focused initiative no new mega leather cluster has been operated despite facilities being provided under the scheme . Investment is one of the key factors, which will determine the growth of the leather industry in India. FDI in the leather sector, despite of numerous investment promotion programmes in place further last couple of years is in tune of only Rs.234.68 crores ( $52.43 million) during the period 2000-2011. Availability of statistics is an important information base for projecting proper plan and policy for the holistic development of industry and the leather industry is not an exception to it. In the absence of proper statistics of production, it would be difficult for any government or institution to formulate policy and programs for its development. There is a need for creating the following database for Leather Industry. Database of Indian companies interested in JVs/Technical tie-ups so as to exchange this information with overseas manufacturers. Production data on leather and leather products. Such a data needs to be compiled by having network with the District Industries Centre (DIC). Such a data is necessary to frame appropriate policies on enhancing/modernizing capacity in leather sector. Database of labor availability in different parts of the country, which needs to be compiled in co-ordination with the State Governments. Such a data will be very useful to the Indian companies in finding the right labor for their production facilities. Database of major retail/departmental stores dealing in leather products and footwear, the major brands sold in such stores. As compilation of the above data requires extensive research and co-ordination, with different arms of the government. The comprehensive program proposed under the Make in India campaign of the government of India is primarily to create confidence coupled with large-scale awareness in India and overseas with a view attract huge foreign direct investment in to the leather sector withsuperior technology to bring out revolutionary changes in the method of production, quality output, high-class design, efficient manpower, and support ancillary components industry with zero defect and zero effect principle. What development has led to the formation of CFLA? The Indian leather Industry witnessed a substantial growth over the years and this led to focus on expansion for export-centric efforts as a result focus for development and growth of the domestic segment suffered a serious setback. The industry has been tirelessly working over the years to set up an institutional mechanism to exclusively look after the larger interest of the domestic leather industry with prime focus on footwear, leather and accessories segment which offers huge potential for expansion. Prior to the formulation of 12th plan period, the Government of India engaged the industry representatives extensively to set up a body to exclusively deal with the interest of the domestic Industry and formulate a viable growth plan. The Make In India programme has truly helped the industry efforts to realize the legitimate dream of setting up of Council for Footwear Leather and Accessories. The government truly deserves to be commended for facilitating the establishment of CFLA, and I am sure the council will meet the expectations of the Small Medium and Large Enterprises working in the field of Indian Footwear and LeatherIndustry. How different are its objectives and roles from the body attached to CII? Council for Footwear Leather and Accessories is the apex organization of Indian footwear, leather and accessories industry and it will primarily focus on the development and expansion of domestic setup with a view to create economies of scale, reduction in the cost of production, brand promotion, enhancing skill, thereby overall enhancing competiveness and creating employment opportunities for millions of jobs. Thus it is distinctively different from CII, which focuses on Industries across all Sectors. How closely will it work with the Government in fostering its roles and objectives? 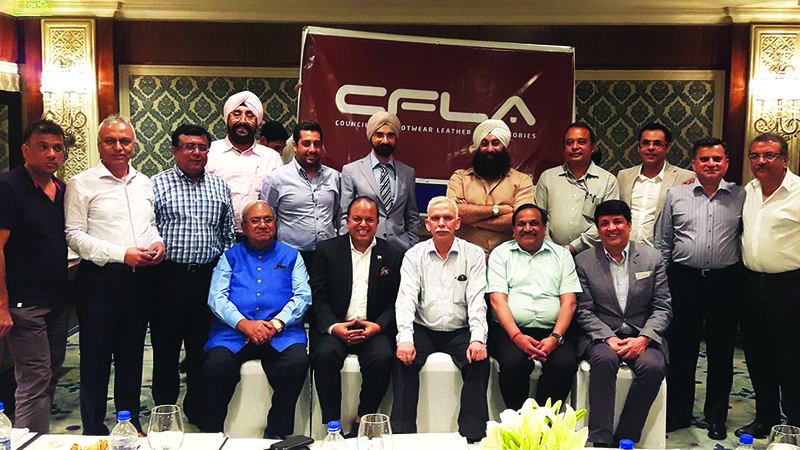 CFLA will perform facilitation and coordination activities towards implementation of various schemes from time to time, including footwear, leather and accessories sector development programmes. The council will work closely with the governments in creating infrastructure of large-scale for capacity augmentation, fair business environment, build confidence, and assist the Ministry of Commerce and Industry, MSME, Ministry of Finance and other Departments. The council will represent the governments in safeguarding the sector from tariff and non-tariff barriers including cheap and under invoiced imports impacting the domestic industry. The council will function under the aegis of the Department of Industrial Promotion and Policy and render necessary support for policy formulation to strengthen the operation of Indian footwear, leather and accessories industry. Kindly share the first few measures it will take to address some of the pressing grievances the Industry is facing at present. Conducting of awareness programme and campaigns for footwear, leather and accessories industry. To collect and disseminate statistics and information which are useful for the manufacturer. To represent the industry and submit on their behalf research reports and studies with the governments and other departments for developing and implementation of various sector specific schemes, policies, regulations and incentives. To promote, facilitate and attract joint ventures, foreign collaborations and foreign direct investments in the sector. To organize domestic and international fairs and events. To enhance competitiveness in the domestic market through various innovative tools including awareness of new and unique ideas, techniques, new information and methods of trade and communication technologies. To promote and ensure co-operation, integrity and collaboration within the units. In what areas would you like to see more Government intervention to strengthen the Industry? Reframing of labor and other statues applicable on the industry in line with the other competitor countries and to support the industry. Bring the unorganized sector into mainstream for greater tax revenue. Minimize Chinese low quality products invasion into the Indian markets. Attract FDI into retail/JV and tie-ups. Increase domestic manufacturing and capacity building in the organized sector. Create skilled manpower for organized retail. Increase cost competitiveness of Indian footwear. Create quality and brand consciousness amongst consumers. Improve internal processes such as HRM and technology for more qualified professionals to enter the industry. Recognition of Indian products across the globe. Creating same industry clusters and to promote integration, co-operation and collaboration among them. Setting up organizations for performing such functions as are necessary to attain the standards of quality and labeling and packing of products. Introduction of hi-tech systems for availability of information regarding the availability of raw materials, leather, manufacturing, trade or ultimate use of footwear, leathers and accessories and their substitutes and derivatives in India and other countries.